Architecture is about many things- space, light, form, and even just plain old “style”. But what all buildings share in common is that they are made of of physical stuff. Materials are the tangible element- what we feel, what we touch. What keeps the rain out. Our Scenic Drive home, currently under construction has a simple pallet of materials. 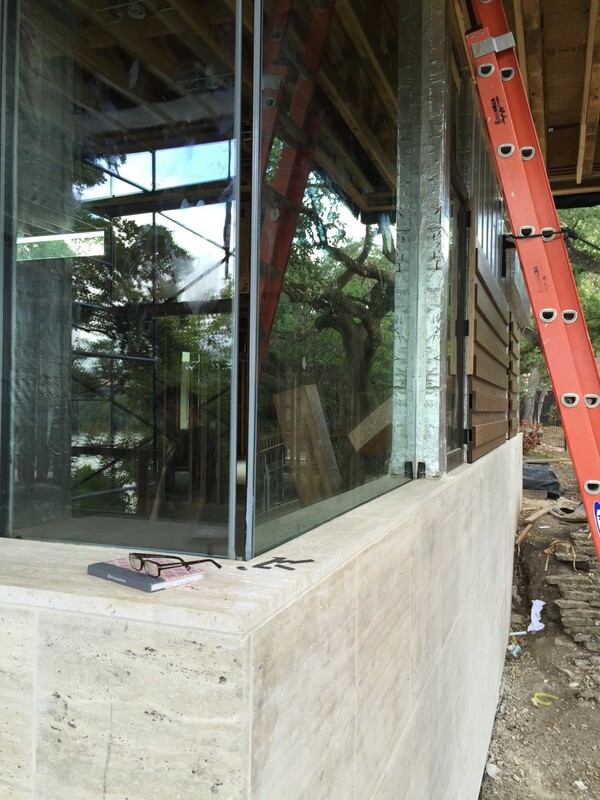 These photos show glass, a hardwood known as Pucte, and travertine. 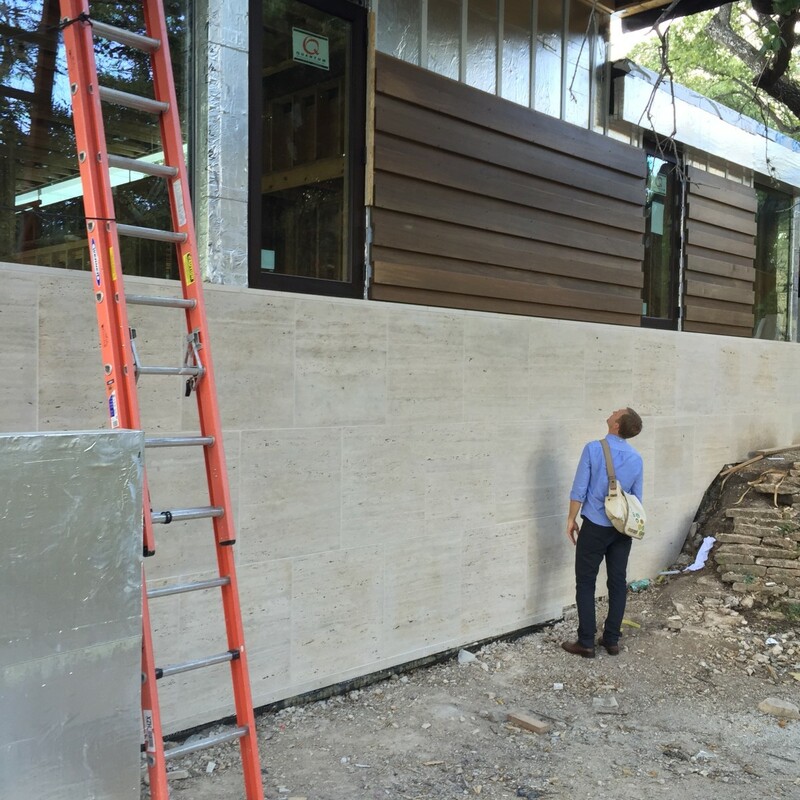 We are especially excited about this travertine. 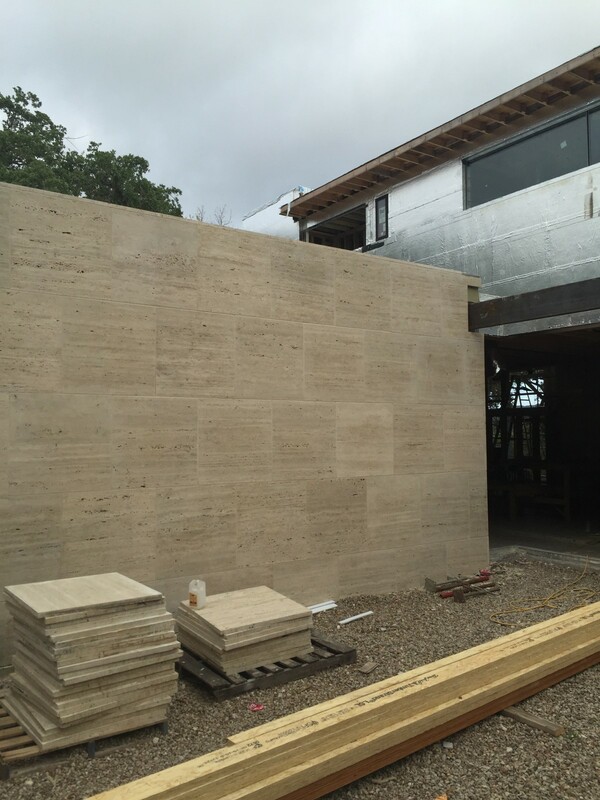 It was salvaged from a recent renovation of the LBJ Presidential Library… And originally came from Tivoli, Italy, from the very quarry as the stone from the ancient Colliseum!